For those who want to cover the song Rewind By Jindabaad. I have uploaded the guitar tab of this song. Rewind is the First song of Jindabaad on which they have made video. 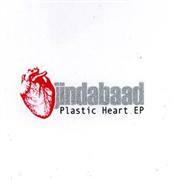 I have already posted the official video of Rewind.Jindabaad‘s Rewind is included in their first Ep “Plastic Heart Ep“.The guitar works for this song are Sunny Tuladhar, Rohit Shakya and Rajan Shrestha.